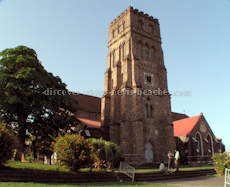 The St Kitts heritage sites information presented on this page is the second part of a two part article on the historical sites and attractions located in Basseterre, St Kitts. If you have not read part one of the article, you may read the article here. The motivation for this article came about as a result of being asked by many visitors to my website which St Kitts heritage sites and attractions are worth visiting. If you appreciate the information shared in the these articles, please share your comments at the end of the article; I'd definitely like to hear from you. The original Catholic Church was built around 1856. Around 1863, the lands to the north and south of the Church were acquired and were later used to construct the Catholic School and the Presbytery on. In 1927 the original church building was demolished and later replaced by the modern edifice which was designed by the noted Father Claeys and is in Romanesque-revival style. Construction work on this new, ornate Church commenced on March 17, 1927 - St. Patrick’s Day - and the Memorial stone was solemnly blessed on April 22nd. The building is constructed out of grey stone. The two towers facing east and parallel north/south were originally parallel west/east when the building was wooden. The new construction was dedicated on December 6, 1928. 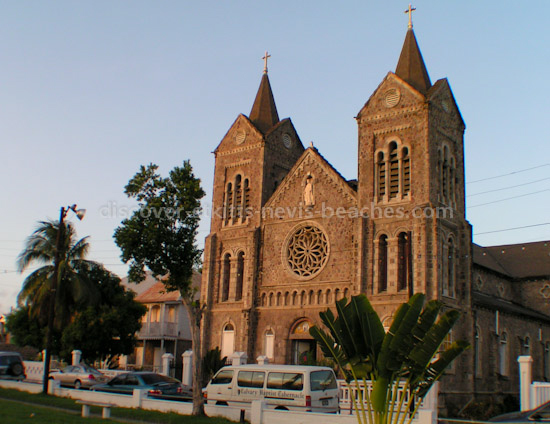 The Immaculate Conception Co-Cathedral celebrated it's 150th Anniversary on December 6, 2008. 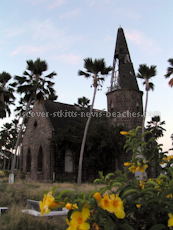 St. George's Anglican Church is another of the frequently photographed St Kitts heritage sites. Standing tall at the head of Church Street and resembling an English parish church despite the Gothic windows; the church, a combination of Romanesque and Gothic was designed by William Slater of London. The outer walls of the church are of the heavy andesite (volcanic) rock and the roof is covered in slate. 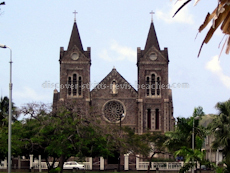 The St. George's Anglican Church is the largest church in Basseterre, St Kitts. It is symmetrical in shape except for the bell tower (where the clock is located) and which rises four stories above street level. 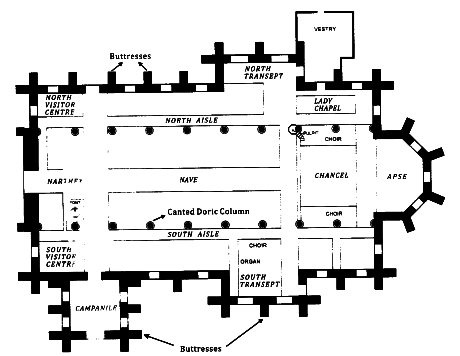 The plans show the traditional long nave with the entrance to the west and an apse in the east. The transept intersects the nave and apse. 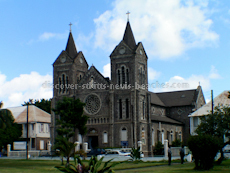 Like many of the original buildings in Basseterre, this St Kitts heritage site has an interesting history dating back to 1670 when the Jesuits built a Church dedicated to Our Lady, Notre Dame. However, in 1706 Notre Dame was razed to the ground by English soldiers as a casualty of war. It was rebuilt and renamed St. George's in 1710. The new church stood on the site of the French church and was used for Anglican worship from the 1720's. In 1763 it was damaged again by fire and was later rebuilt. An earthquake in 1842 and a hurricane the following year resulted in so much damage that an entirely new church had to be built to the east of the old Church. The corner stone for the new Church was laid in 1844, but this Church never rose above its foundations for twelve more years. During this time the congregation continued to worship in the ruins of the old Church and other places. 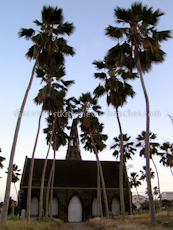 Designed to accommodate 1,500 worshippers, construction of the new Church commenced in 1856. It was consecrated on the March 25, 1859. Seven years later, it was gutted in the Great Fire of 1867; two years later it was again restored. The St. George's Anglican Church boasts four beautiful stained glass windows above the west door, three on the east wall of the Lady Chapel and three in the Apse. One of its most famous pieces of “furniture” is the famous Booth of Wakefield, Pipe Organ, probably the best of its kind in the Caribbean. The tall memorial for this St Kitts heritage site was once located east of the Old Treasury Building in downtown Basseterre. It was moved to its present location in Fortlands at the intersection of Horsford Road and Wilkin Street in 1955, when the old site was needed for the New Post Office and Customs Building. The relocated memorial is more imposing than the older one and was unveiled by Princess Margaret on 16 February 1955. In its first location it was a simple monument with a brass plaque which held the names of the men lost in World War I. It stood on the then parade area where the military met to commemorate celebrations. The original one was unveiled on 11 November, 1926. In its present location the names of both World War I and World War II veterans are listed on its two brass plaques. 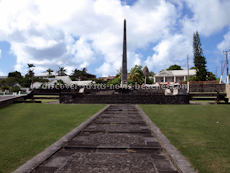 There are three tombs directly in front of the memorial, each made out of three different types of stone from each of the three islands which made up the trinity of St. Kitts, Nevis and Anguilla. 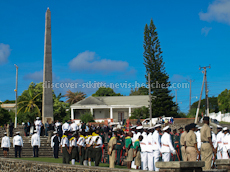 Every year on the second Sunday in November, a ceremony is held to commemorate Veteran's Day (November 11) in remembrance of those persons from St. Kitts, Nevis and Anguilla who lost their lives in the two great World Wars, and whose names are engraved in the plaques. Wreaths are laid at the base of the monument by a number of persons including the Head of State - the Governor General, the Head of Government - the Prime Minister, and representatives of the Ex-service Men Legion and the armed forces (police and defence forces). The St Kitts heritage site known as Springfield Cemetery was once part of the Diamond Estate owned by Sir Patrick Blake. In 1837, Blake sold 25 acres to Thomas Harper who named the area Springfield. In 1855 Springfield House (which was a part of the estate) now known as Government House, the official home of the Governor-General of St. Kitts and Nevis was "conveyed in trust among other things for such public uses and purposes as from time to time should by the Governor, Council and Assembly be declared and appointed". The nearby lands were designated for use as a cemetery for the parish of St. George. Prior to the Cholera Epidemic in 1854, all burials took take place in churchyard cemeteries. In 1858, the Springfield Cemetery was enclosed with a beautiful cast iron fence, unfortunately no longer in evidence as it is broken in numerous places. In that same year legislation was passed prohibiting burials anywhere else in Basseterre other than at the Springfield Cemetery. Once divided into the four main denominations; Anglican, Catholic, Methodist and Moravian, the deceased from all denominations are now welcome. Springfield Cemetery was at one time described as the most beautiful cemetery in the Caribbean owing to it being well maintained with beautiful trees and shrubs and two main walkways running east to west, and north to south. In 1862 a Mortuary Chapel was constructed at the intersection of the two walkways. Originally conceived as a chapel for all denominations of those whose relatives had died in the nearby Cunningham Hospital, presently the small chapel is used for storage by cemetery caretakers, despite being in dire need of repair. I hope you have enjoyed this St Kitts heritage sites article which featured the sites and attractions in Basseterre, St Kitts. 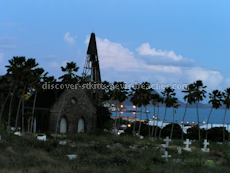 Stay tuned for the article series which will look at those St Kitts heritage sites located outside of Basseterre.